I have to do a quick post today to share the amazing Joy flowing from my heart. I WON. HOLEY MOLEY GUACAMOLE! I WON THE WHOLE ENCHILADA! I called my hubby and then my mom, both having to explain "So there is this blogging conference...explain in detail...and They had a giveaway...explain in detail....annnnnd I WON!....scream and freak out! Hahaha I need to scream at someone, even if they didn't fully understand....someone had to share in my joy..right now! ...and yes- I am in my PJ's, no make-up, fresh out of bed, and maybe a child or two in the background were crying out for breakfast...but I had to capture the moment...in the raw....selfie style. Yes it is cheesy. You're welcome. I seriously remember entering and thinking, "well this would be totally rad God, but I know you've got other things to handle...like world peace or hunger or something". But isn't God great when HE really knows the desires of our heart and he really LOVES spoiling and loving His children. In that light, I want to claim this as one of those moments where God is doing His thing... and this time for me, He just really did it BIG. I am humbled, I am blessed, I am grateful. I cannot wait to maximize this opportunity and learn, learn, learn in order to continue to use my gifts and service for HIM. Wish me luck! 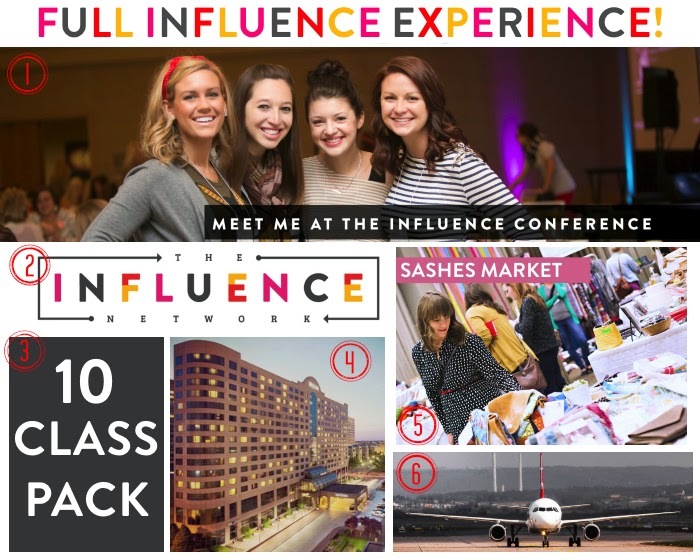 Thank you to all the Ladies at the Influence Network for giving me this incredible opportunity! You all are amazing and inspiring women and I cannot wait to meet you and soak in all your wisdom! Congratulations :) Winning is such a great feeling especially an amazing experience like this!! Awesome!! Congratulations! Hope you have a great time! Woohoo! I heard from Jenna and I am SO thrilled for you, that's so awesome!!! Congrats, girl! Yay!!! Congrats!!! I'll be there also! YAY!!! SO excited for you!! This is going to be my first time at the conference, too!